Granted, Newfoundland is a little out of the way. It’s only accessible by air or an arduous ferry journey. But the journey, for those who make it, is so very rewarding! I visited in Autumn 2013 with two friends. We flew into St John’s and picked up a rental car and went on a cross-province road trip to the stunning Gros Morne National Park, located on the West coast of Newfoundland. There are only two words to describe what we saw: stunning scenery. 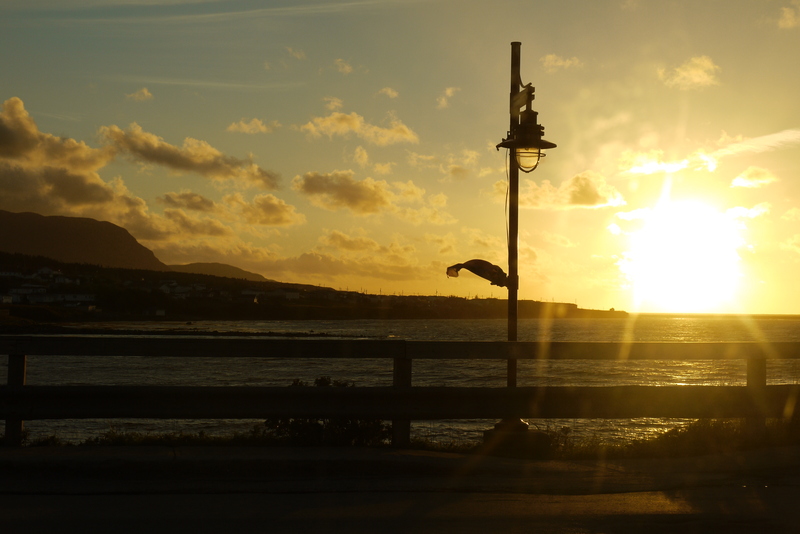 The drive across the island is an eye opener in itself. The land is a vast wilderness of rock, trees and the occasional river running by. You have the feeling of being at the (very sparsely populated) ends of the earth. Stopping off at a hidden lake while driving across the province, we were the only ones around! 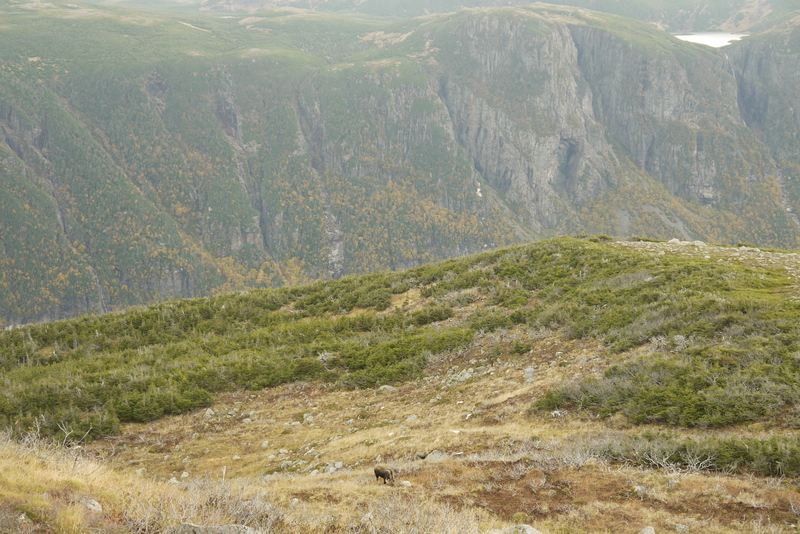 Gros Morne National Park is in itself an underrated gem. Of all of Canada’s truly outstanding national parks, this has got to be up there as most overlooked. 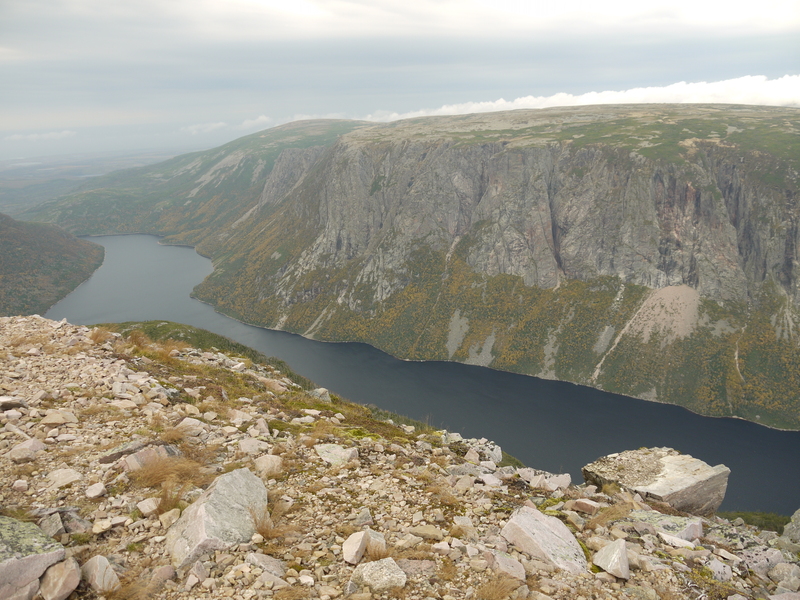 I’m sure I could write an entire post just about Gros Morne itself, but perhaps I’ll save that for another day! The hiking here is incredible, the scenery is amazing and just as ruggedly good looking as its Western cousins. There is wildlife to be spotted too. 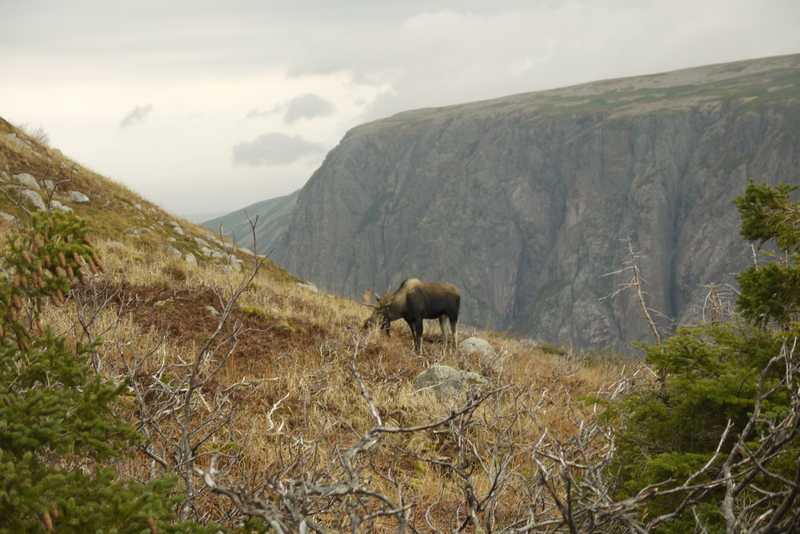 We stumbled upon three moose, almost literally, while hiking – two males and one female – after just 48 hours of being in Newfoundland. 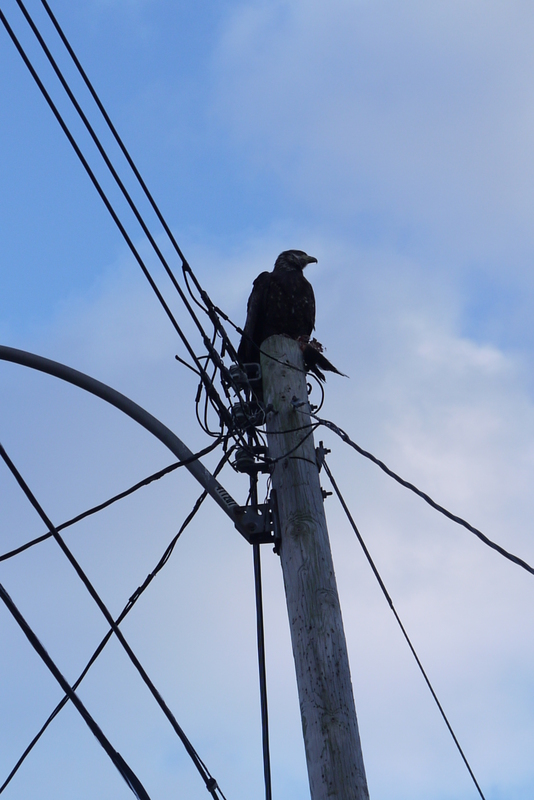 This was more than I had the good fortune of seeing after a year and a half of living in Western Canada! 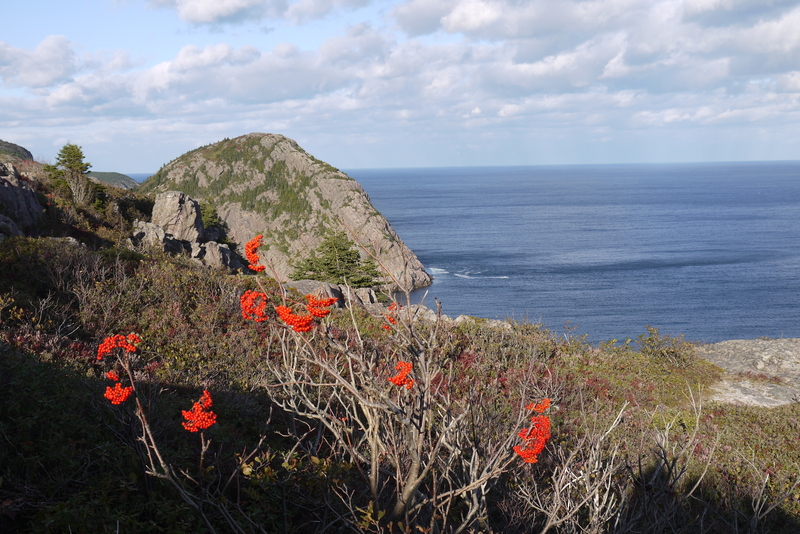 Clifftops and sea views are what Newfoundland boasts, and Gros Morne is short of neither. There’s something about being near water that I find so relaxing, and gazing across calm waters from the top of a mountain? Heaven! 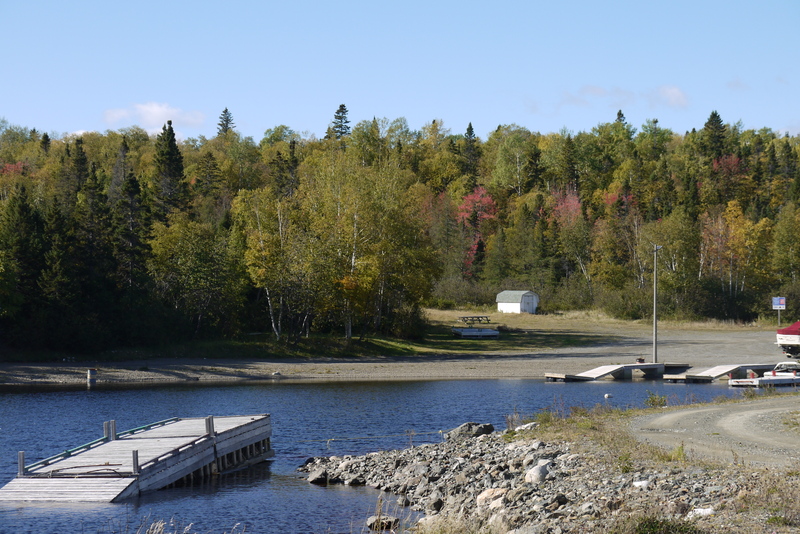 Rugged outdoorsy adventuring is not all that Newfoundland has to offer. 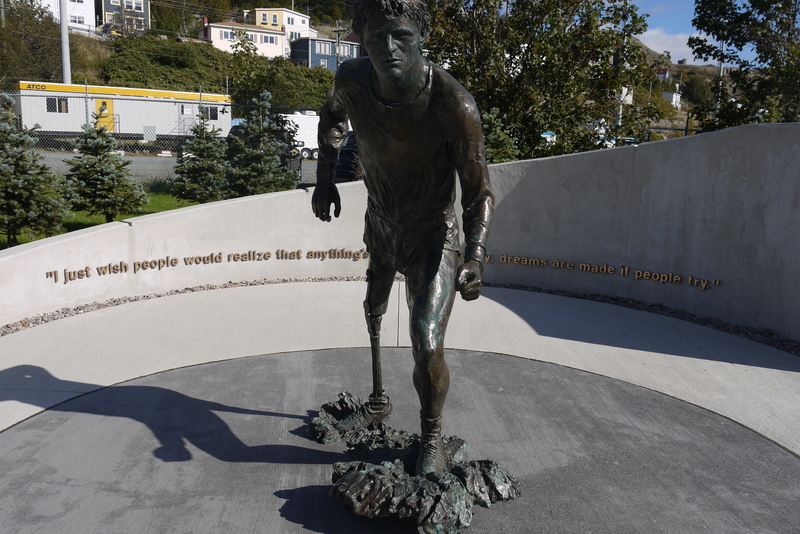 St. John’s is Newfoundland’s cultural hub, and offers history, good food, art, good nightlife, and of course the not-to-be-forgotten Newfoundland favourite: cliff tops and sea views! 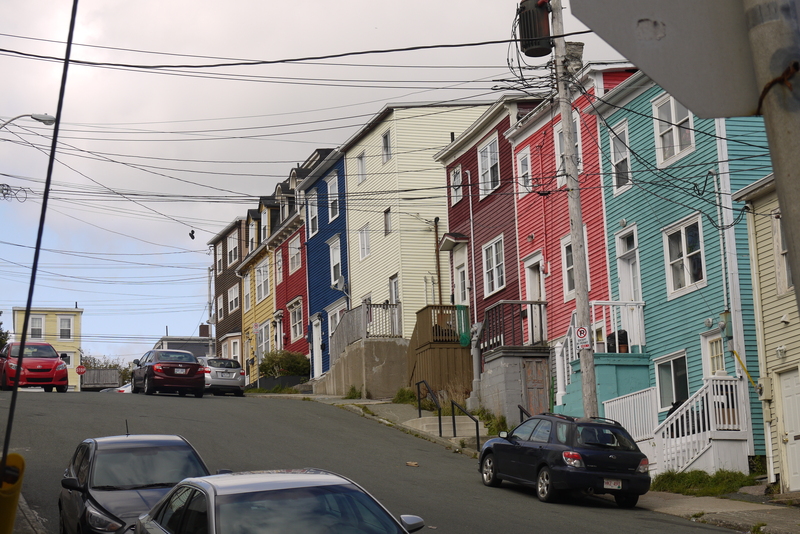 The people of St. John’s are very friendly, which makes a refreshing change for a city. We couchsurfed with a lovely family in St. John’s, who were very kind and recommended us some interesting places to check out. We took a long walk around the waterfront area of St. John’s and along the walking trail near Cabot Tower at Signal Hill. 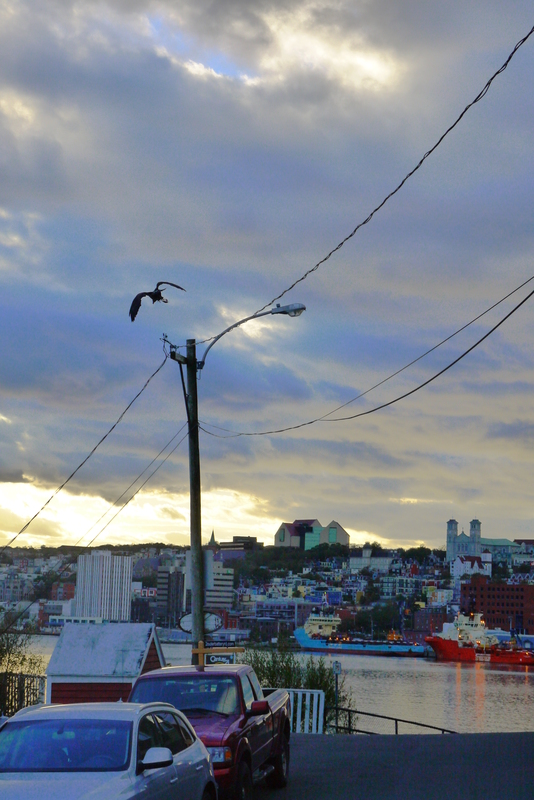 This was probably my favourite part of our St. John’s adventure. It was pretty cool to feel as though you were teetering on the edge of North America and that there was nothing between you and Europe, except wild Atlantic Ocean. 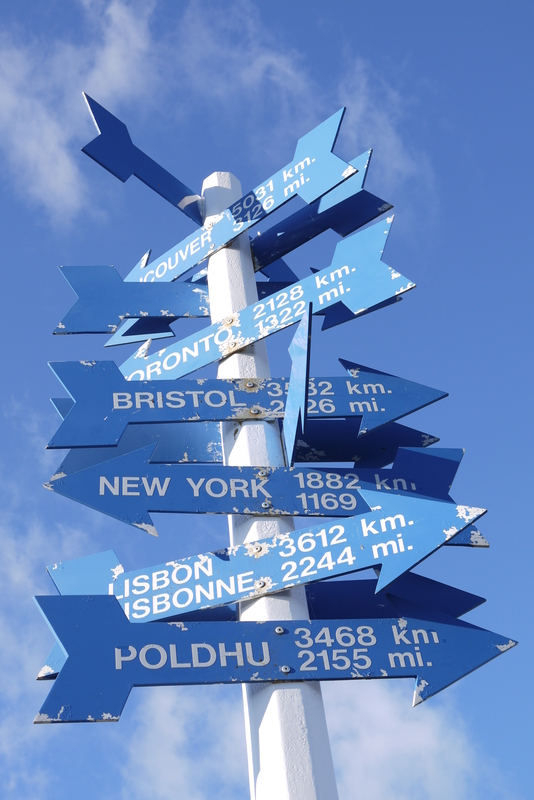 Which way? The end of the earth! So! There we have it. It may not be as perfectly picturesque or daintily attractive as various other Canadian provinces, it may not be adorned in year-round snow capped mountains and there may not be so many snap-happy tourists, especially in the more far flung regions of the province, but Newfoundland certainly has its draws. Strong and proud it sits on its Easterly perch, waiting patiently for those equally patient travelers to cross it’s magnificent threshold. If you’re looking to explore an underrated gem, then give some of your precious travel time to Newfoundland. It surely won’t disappoint.